Is It the Big Lie of the Mind or the Big Lie of Job Security? While I prefer to defend the life of the mind, I have been thinking of another “big lie” lately that relates to academia in general, and that involves job security. Should job security or tenure be an expectation of anyone who goes to graduate school? If you go into graduate school, the best approach is to assume that you won’t get a tenure-track job. And that’s okay. You might get a career, but it might not be the one you thought you would get. You might even find a career that you like better. Adventures in Gradland had a superb series on the types of careers that former academics have discovered, and it’s required reading whether you’re just starting grad school or you just got tenure. It may sound harsh, but the real big lie related to academia doesn’t involve the life of the mind (or lack thereof). The real lie is that, academia is the fast track to job security, and the evidence is that non-tenure track faculty make up over 73 percent of those teaching in higher ed. Academics must fight hard to keep the jobs that they have (see debate on why it seems that academics haven’t been fighting hard enough), but it’s also smart to start thinking of other career tracks while you’re in school or even while you’re teaching. You’re not being disloyal to your university or to academia if you think of a Plan B. You’re being smart, and you’ll be better prepared for economic upheavals than most of your peers. Tomorrow, a glimpse of what it’s like going through a layoff, and why it’s better in the Hamster World. 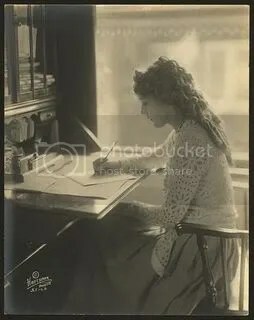 Image of Mary Pickford from the Library of Congress, public domain on Wikimedia Commons.